View Windsor CO Real Estate Below – As a smaller community than neighboring Fort Collins, Windsor is home to just 17,000 residents. Real Estate in Windsor is vast and abundant, from Million Dollar homes to smaller-first time buyer properties under $200,000, there is a great home for you. Unique characteristics of Windsor include the small town feel with large town amenities, gorgeous backdrop of the Rocky Mountains, a safe community for the family, and quick access to the metropolitan area of Denver to the South. I welcome you to search real estate for sale in Windsor and contact me should you want to setup a private showing. Enjoy! Windsor, CO is centrally located between the vast plains to the East and the Beaches to the West with the Rocky Mountains in the backyard. Beautiful-lush greenery presents itself at every turn. What could be better than breathing in fresh mountain air every morning as you stroll through this small town of just 17,000 occupants? What can I say, it’s a mountain paradise! 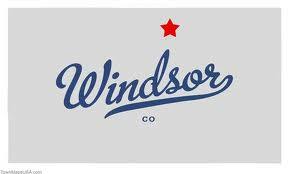 Windsor has a rich history which dates back to pre-1890, the year of it’s official incorporation. Local businesses such as Scion Industries, CH2M (rated top 54 companies to work for on the fortune 500 list), and Kodak. If you’re worried about you’re children’s schooling, Windsor solves this problem with a great schooling system providing both Public and Private schools. One great aspect of the Windsor Colorado area is location. It’s located in the breadth of Interstate 25 between two capitol cities of Denver and Cheyenne. It creates a dynamic setting with the small town comfort and large attractions for work and play. Many residents enjoy the hiking and biking trails during the summer while hitting the slopes in the winter. Homes are priced at reasonably with the average sitting at just over $300,000. The weather remains cool during the summer with a high of just 86 degrees making Windsor the perfect summer getaway if you live in a desert community. Windosr is considered to be growing a fast rate and the housing economy is stronger than most markets in the United States. For more information about housing, the community, and activities that Windsor offers, please feel free to contact me!